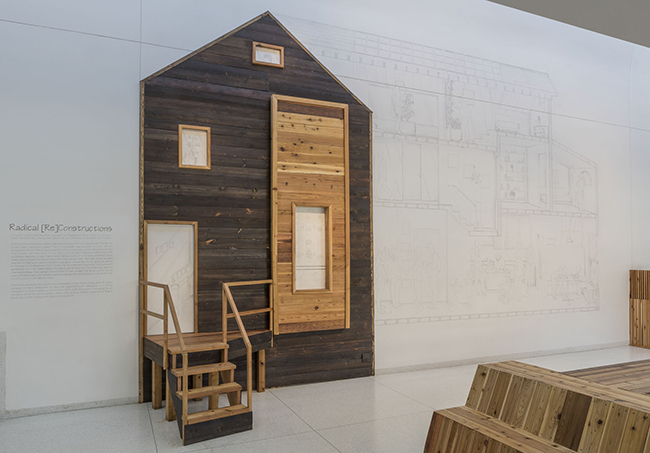 Radical [Re]Constructions connects the Museum space to Pratt’s ongoing work through the Sweet Water Foundation, where Pratt is co-founder and executive director, and the development of the Think-Do House and Perry Avenue Commons, a community hub and urban farm located two miles west of the Smart in a so-called “blighted” neighborhood. 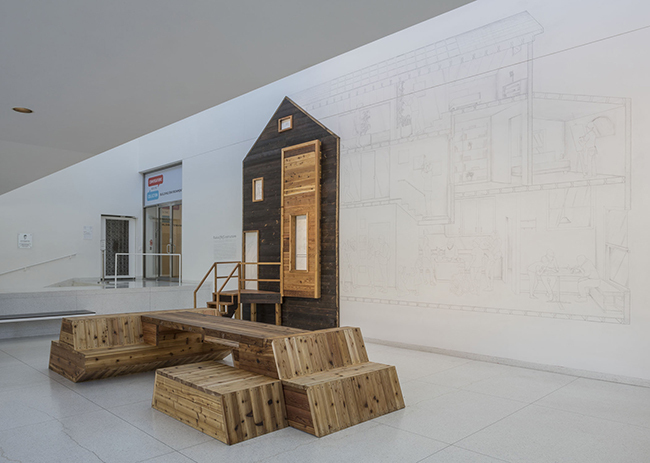 The installation features a large three-dimensional representation of a formerly abandoned house which is currently under reconstruction by the Sweet Water team. Materials include salvaged wood pieces that were used to transport large glass windows for the new Campus North Residence Hall adjacent to the Museum. The wood has been treated by Pratt and youth apprentices from the Sweet Water Foundation and finished with the traditional Japanese charring technique shou sugi ban, an investment of time and labor that brings out the natural beauty of the wood. 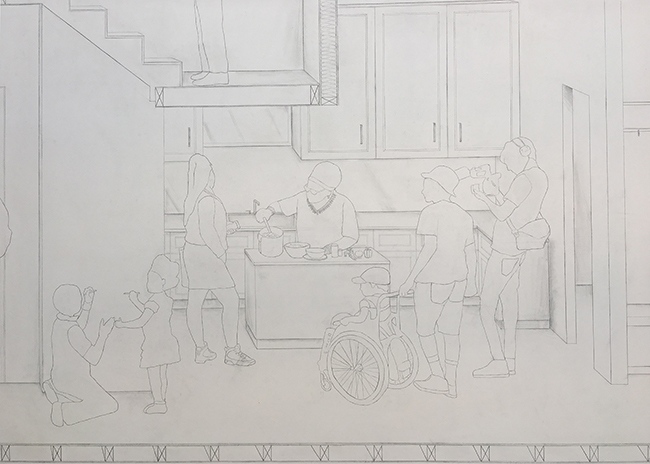 It also includes a sectional perspective drawing based on activities that currently occur in the Think-Do House. 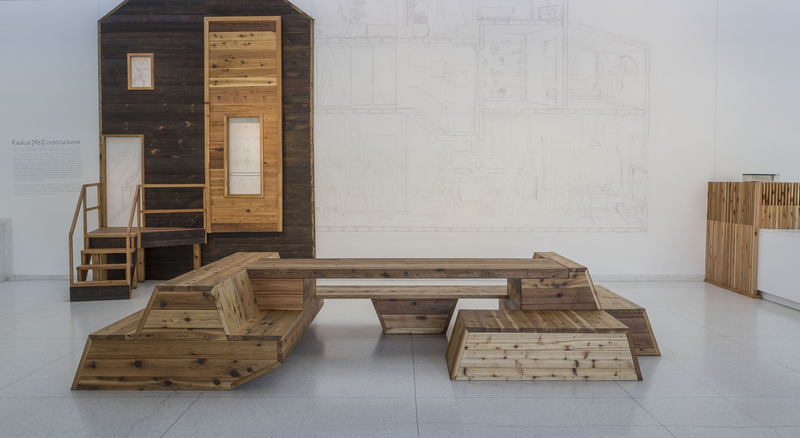 The house’s functional front porch or stoop extends into the Smart’s lobby and café space, and a sculptural bench and other furniture made from reclaimed wood provide inclusive spaces to sit, meet, and eat. 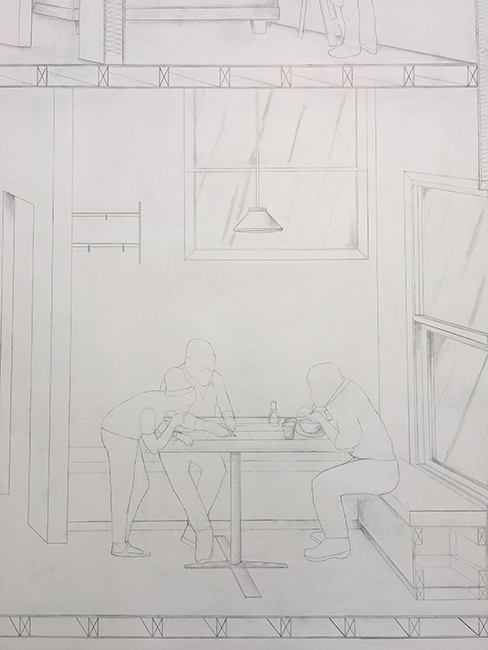 As the Smart's 2017–2018 Interpreter in Residence, Pratt convenes a series of interdisciplinary dinners that examine a different theme connected to Radical [Re]Constructions: housing, work, health, and education. 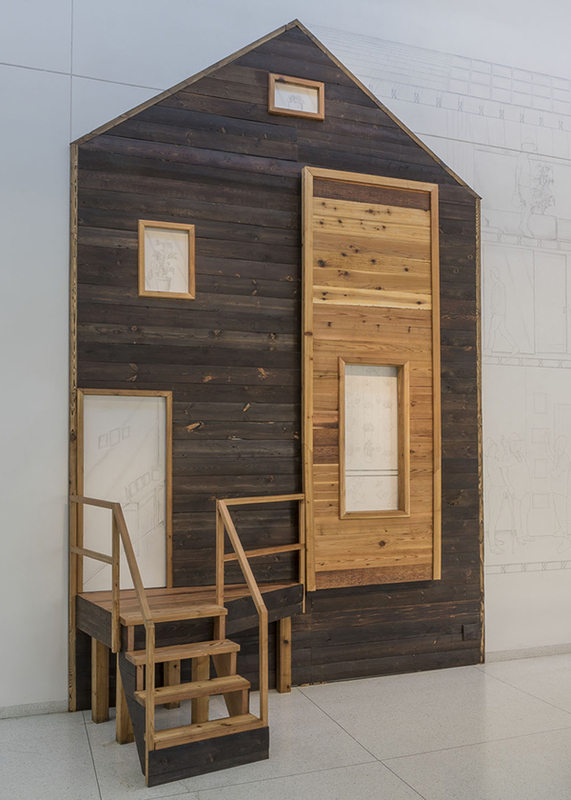 Launched in 2010, the Threshold series brings large-scale installations of contemporary art to the Smart Museum’s lobby and courtyard on an annual or biennial basis. The prominent placement of these commissions ensures that all visitors—whether they have come to the building for a class, an exhibition, or a cup of coffee—will instantly encounter thought-provoking new art. 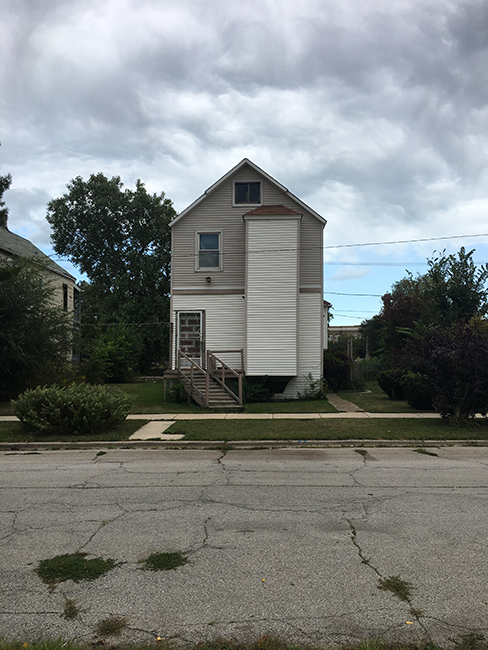 Emmanuel Pratt discusses how Martin Luther King Jr.'s vision helped shape his work with Sweet Water Foundation and the Radical [Re]Constructions project. 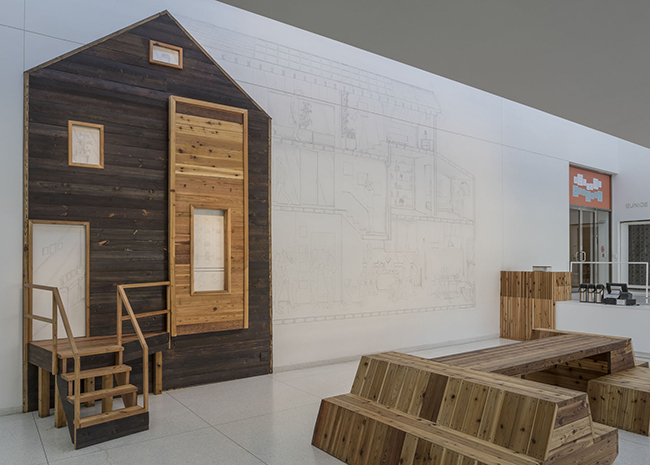 Emmanuel Pratt discusses the components of the installation, including a living bench sculpture that creates an inclusive space to sit, talk, and engage. How Sweet Water Foundation's team of apprentices and mentors employed different construction, carpentry, and finishing techniques when building Radical [Re]Constructions. 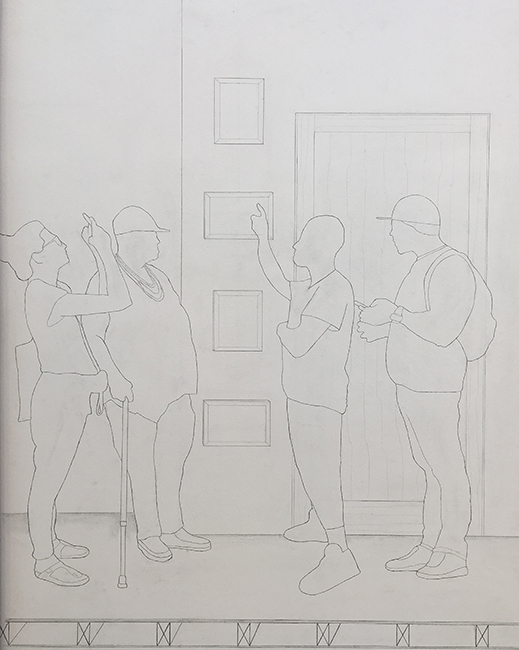 Emmanuel Pratt on his project with Dan Borelli, 'We the Publics,' and how as the Smart's Interpreter in Residence he finds ways to broker conversations to build common ties and bonds. The Smart Museum’s lobby and Miriam’s Café will temporarily close for renovations between August 21 and September 11. Jessica Moss, former Smart Museum Curator for Contemporary Art, and Michael Christiano, Deputy Director and Curator of Public Practice.